Due to its strategic placement off the eastern Mediterranean coast of Spain, the Catalan speaking islands of the Balearics have endured a chequered and sometimes tumultuous past. Settled by Greeks, Romans and Phoenicians during the first millennium, the islands have been fought over throughout their history – with the most recent invasion coming from popular tourism during the 20th century. The Balearics also hold another distinction, however. The largest of its three islands, Mallorca, is home to the only team outside the Spanish mainland to currently play in the country’s top division. RCD Mallorca, located in the port city of Palma, can trace its beginnings back to 1916, and the creation of the impressively-named Junta Directiva del Alfonso XIII FBC. Founded by Adolfo Vázquez, the club was named after the Spanish king at the time, Alfonso XIII. The name changed to Club Deportivo Mallorca 15 years later before receiving royal patronage in 1949, giving the club the “Real” name it bears today. Mallorca spent their early history competing in regional football, however they have not slipped out of the top two divisions of Spanish football for more than three decades – including their current run preparing for their 16th consecutive campaign in the top flight. They have also earned two Segunda Division titles and even a Segunda Divison B championship. Since the club’s promotion during the 1996-97 season, Mallorca has experienced varied success, making appearances up and down the league table. In 15 seasons, the club has finished in third place twice and fifth place another two times, the most recent of which came two seasons ago in the 2009-10 campaign. In 1998 Los Bermellones won the Spanish Supercup in a 3-1 two-legged triumph over Barcelona (Barca’s only goalscorer? 18-year old Xavi Hernandez). Also included in this period are two appearances in the Copa Del Rey final; Mallorca achieved cup conquest in the 2003 final after two goals from a young striker from Cameroon named Samuel Eto’o. 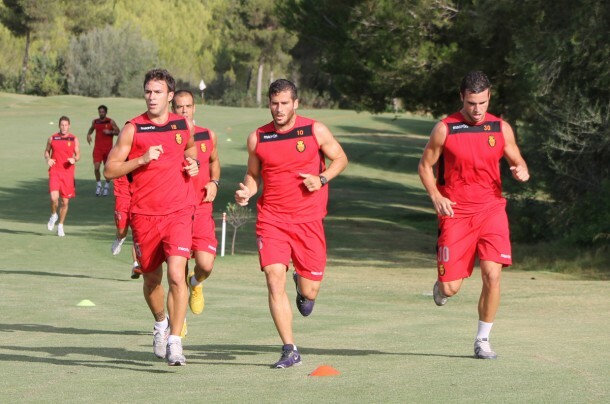 Several well-known figures of football have coached Mallorca, including the likes of Hector Cuper, Gregorio Manzano, Luis Aragones, and more recently, Michael Laudrup. Although Laudrup’s era was defined by poor results and financial crisis, this island club saw great improvement in the 2011-12 season, finishing in a respectable eighth place. The coach of the club today is Joaquin Caparros, who is best known for his stints at Sevilla and Athletic Club. Caparros possesses the experience needed to make the most of his limited resources at Son Moix. Interestingly, the club was actually able to spend money this summer, acquiring talented midfielder Javi Marquez from Espanyol. The 26-year old will bolster Mallorca in the middle of the pitch and supplies a veteran presence. However, homegrown centre back Ivan Ramis was sold to Wigan Athletic and his presence will be sorely missed at the back. 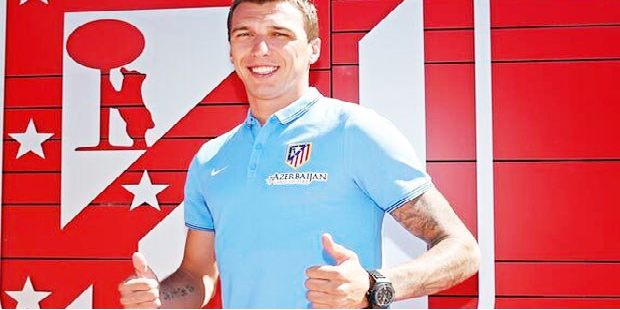 Former Atletico Madrid left-back Antonio Lopez, was also signed on a free transfer. Established stars Tomar Hemed and Emilio Nsue will supply the firepower up top in the wake of Chori Castro leaving the club for Real Sociedad, while captain Jose Nunes anchors a defence that must adapt following the departure of Ramis. However, with Caparros’ pedigree, Mallorca have the potential to improve on last season’s impressive eighth place and may even be capable of pushing towards a European spot. The islanders have certainly established themselves as a permanent feature in Spanish football’s top flight – now they must attempt to go one step further. I think both CD Tenerife who made it to a UEFA semi final although they are struggling right now and UDLP who have spent many years in the top Spanish division might well object to your point of view.